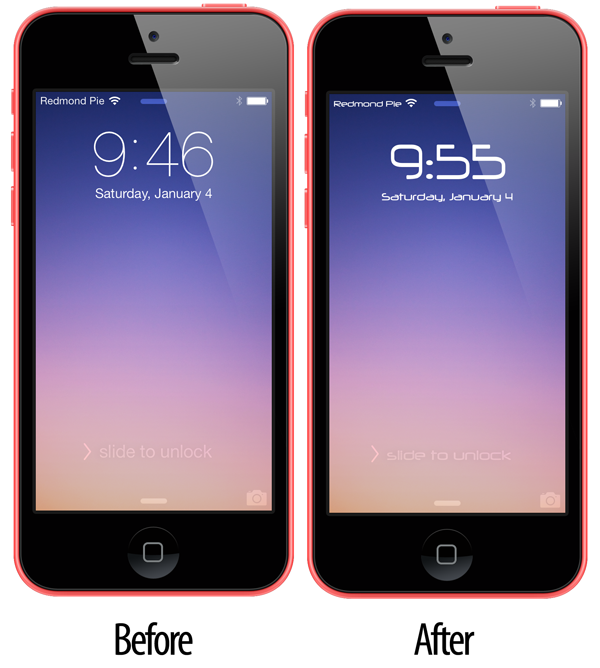 Modding the iPhone and iPad is part of the charm of jailbreaking. In fact, it’s arguably the biggest reason that people take to jailbreaking their iOS devices, and with people apparently desperate to stamp their individuality on their personal technology, Apple’s devices seem to attract some of the most creative people around. Coincidentally, those people are the kind of people that agonize over fonts. We’re going to count ourselves in that group of people too, because there’s nothing that grinds our bones more than an app with a font that looks like it was based on a 2 year-old’s drawings with a blunt marker pen. Or a crayon with the end bitten off. Your choice, really. Thankfully, jailbreakers aren’t usually short of choice when it comes to finding ways to change fonts on iPhones and iPads. Now they can add BytaFont 2 to their arsenal, after the popular BytaFont was replaced by a new, iOS 7-friendly version that promises to make it easy for people to change fonts with just a few taps of an iOS screen. BytaFont is intended to be an easy-to-use application to change font on iPhone/iPod Touch/iPad (jailbreak required) in few taps. It’s the ‘few taps’ part that should perhaps be underlined, because it’s the ease with which fonts can be altered that sets BytaFont 2 from the alternatives that live in the jailbroken app store that is Cydia. 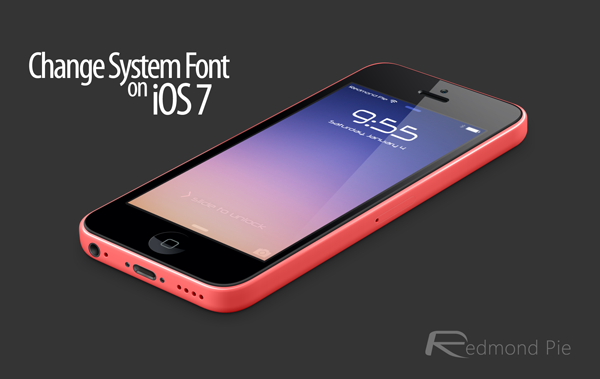 Installed fonts can be used with ease, and new fonts can be installed via the relevant section of Cydia. It is worth noting however that fonts will need to be created with iOS 7 in mind, so older fonts found on Cydia won’t be compatible with BytaFont 2. We’ve not told you about the best feature of BytaFont 2 yet either have we? Well, it’s available to download from the ModMyi repo right now, but most importantly it’s absolutely free to anyone that wants to download it. 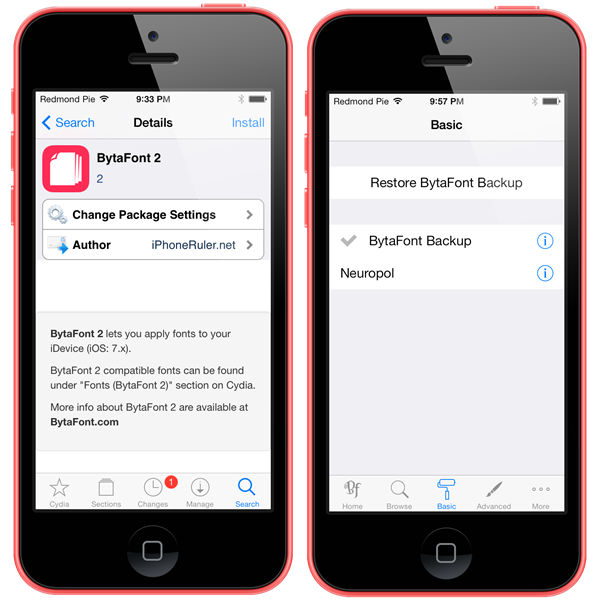 If you’ve had a hankering for a particular font on your iOS 7 device of late and didn’t know how to change it, then you might want to check out BytaFont 2 before you install anything else. Be sure to check out our iPhone Apps Gallery and iPad Apps Gallery to explore more apps foryour iPhone and iPad.